Nazarene Fund Saving Lives In The Middle East: Ephraim Mattos, former Navy SEAL, is with us from the Nazarene Fund today. We’re talking about the work that the Nazarene Fund has done, and continues to do, helping persecuted Christians around the world. New efforts are being focused on helping persecuted Christians in Burma! Join us now to learn more! Memorial Day: How We Can Honor Those Who Paid The Ultimate Price. In this program, we have the privilege of speaking with Texas State Senator Colonel Brian Birdwell on Memorial Day and how we can honor those who paid the ultimate price for our freedom! Tune in now to learn more! Uncommon Courage, An Interview With WWII Veteran, Don Whipple Part 2: Join us today for part two of a special interview with World War II veteran, Don Whipple. Mr. Whipple tells the amazing story of his time in the Marines during World War II. Today we'll learn more about his time on Iwo Jima, his being in Nagasaki shortly after the bombing, how he holds no bitterness, and his ministry to Marines since the war - including leading others to Christ! Tune in now for more! Uncommon Courage, An Interview With WWII Veteran, Don Whipple: Join us today for part one of a special interview with World War II veteran, Don Whipple. Mr. Whipple tells the amazing story of his time in the Marines during World War II. Learn about his conversion, how he was injured after only an hour on the beach at Iwo Jima, but not only that - how he came back the next day. Tune in now for more! B26 Veteran Surviving 65 Bombing Missions In WWII: If you have been listening to WallBuilders Live for very long at all, you know how much we respect our veterans and how appreciative we are of the sacrifice they make to make our freedoms possible. One of the ways that we love to honor those veterans is to tell their stories here on WallBuilders Live. Today, we are interviewing Veteran Bill Deam on his experience surviving 65 bombing missions in WWII. Okinawa: WWII Marine Veteran Shares His Story of the Battle: If you have been listening to WallBuilders Live for very long at all, you know how much we respect our veterans and how appreciative we are of the sacrifice they make to make our freedoms possible. One of the ways that we love to honor those veterans is to tell their stories here on WallBuilders Live. Today, we are interviewing Veteran, Lt Col Harry McKnight, on his experience in the Battle of Okinawa. The Military, What Does The Future Hold For Our Soldiers? The Military, What Does The Future Hold For Our Soldiers: We're always talking about today's hottest topics and diving into those issues. One of those major issues involves our military and the policies that President Obama put in place and how President Trump has taken a very different approach. Special guest, General Jerry Boykin, is with us discussing this today. Tune in now to learn more! 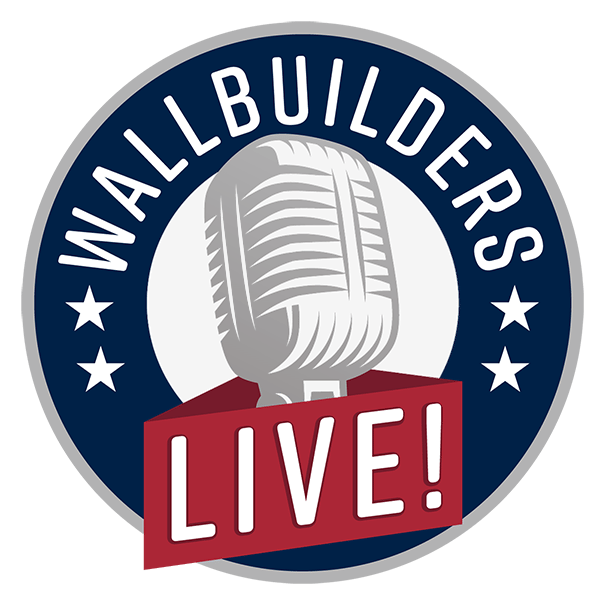 Remembering Pearl Harbor, Stories From First Hand Accounts: If you have been listening to WallBuilders Live for very long at all, you know how much we respect our veterans and how appreciative we are of the sacrifice they make to make our freedoms possible. One of the ways that we love to honor those veterans is to tell their stories here on WallBuilders Live. Today, we are interviewing Don Stratton who shares with us his first hand account of Pearl Harbor. Court Cases: What Happened When An Atheists Targets a 90-Year-Old Veterans Memorial: In today's podcast we are interviewing Hiram Sasser from First Liberty Institute. We've got a lot of cases going through the court system right now dealing with the issue of religious liberty and dealing with the issue of wanting to take out the crosses from cemeteries and memorials. Tune in today to learn about what is going on in the US Senate, the presidency, and with judicial nominees, and learn about the seismic shifts that have happened in just the last couple weeks. Watch for changes that will help more of his appointees be put in place in the near future!